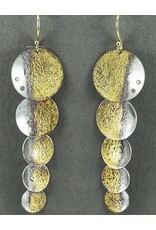 These articulated earrings shimmer as they move. 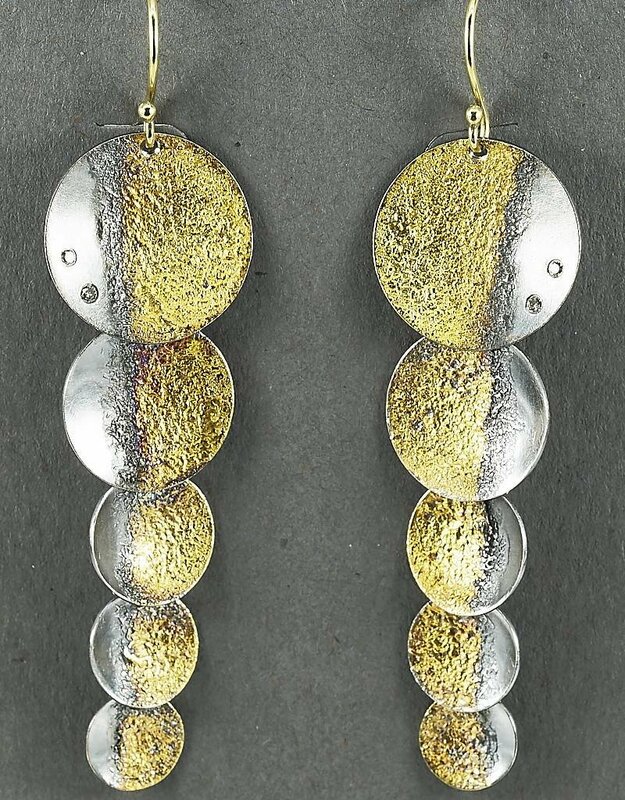 Textured, oxidized sterling silver is adorned with 23K gold and .04ct diamonds. 18K wires, 2.75" L.